U2 has been doing a number of screen prints of late, a more reasonable priced version of art than the lithographs they’ve sold in the past, but of a better quality than a poster would be. 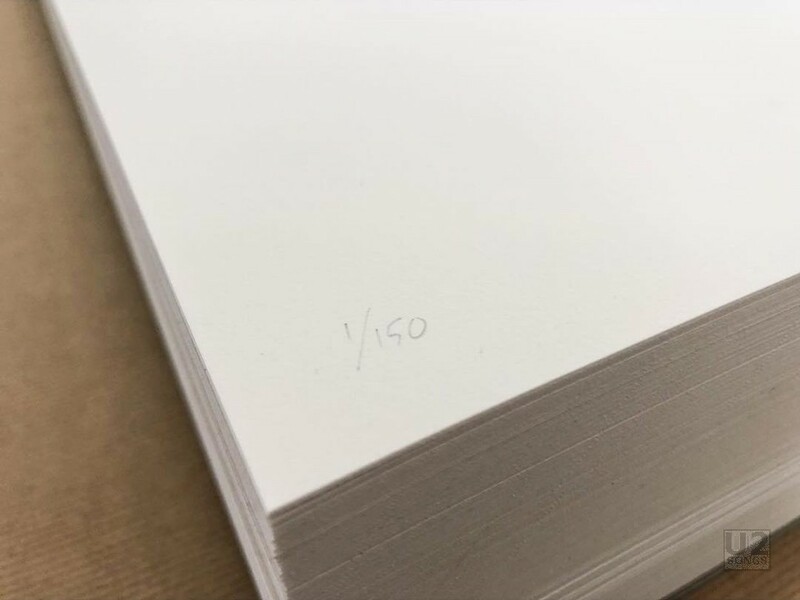 They’ve been using the print studio White Duck Editions for the last year to produce beautiful limited art prints. White Duck was established in 2005 in the UK, and has become a well respected producer of art for musicians such as Arcade Fire and The Rolling Stones as well as working with artists and illustrators on unique prints. 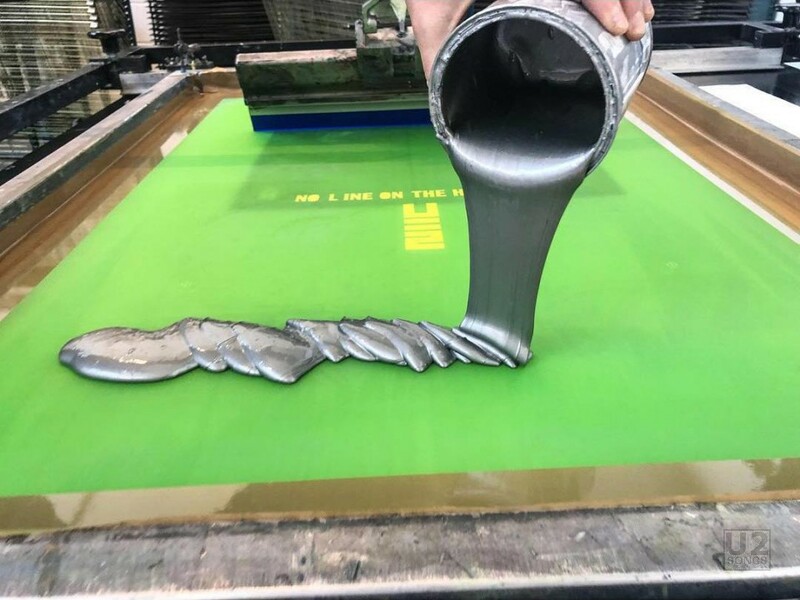 The screen printing process that they are using is done by hand, and results in some gorgeous prints. 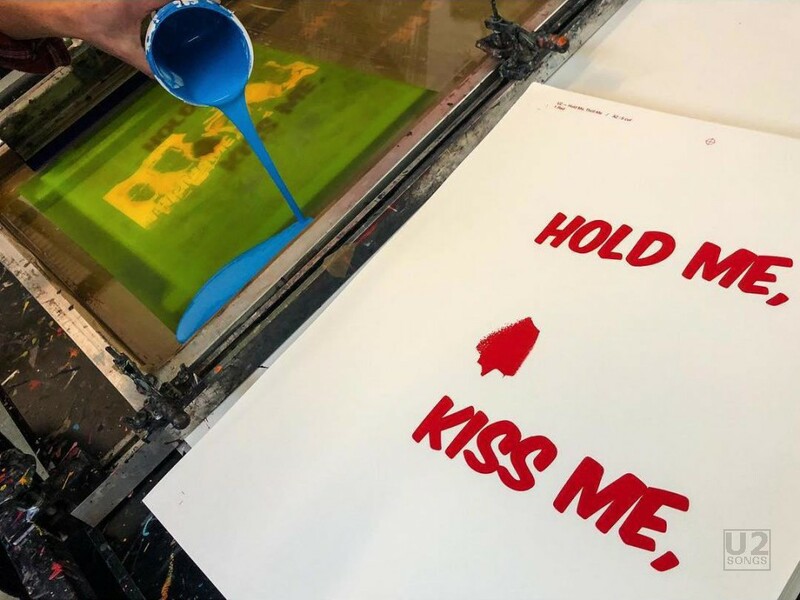 “Hold Me, Thrill Me, Kiss Me, Kill Me” hand screen print on superfine acid-free white paper, hand numbered out of 150 editions. Size A2 (420 × 594 mm). Zooropa hand screen print on superfine acid-free royal blue paper, hand numbered out of 150 editions. 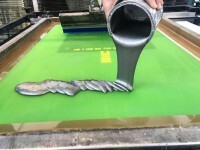 Size A2 (420 × 594 mm). The Joshua Tree hand screen print on metallic gold board, hand numbered out of 150 editions. Size A2 (420 × 594 mm). These were sold only in a bundle initially. Both the “Hold Me, Thrill Me, Kiss Me, Kill Me,” and The Joshua Tree screen prints seem to be sold out at this point. Zooropa is still available in a bundle, and now they have also made the screen print available by itself. 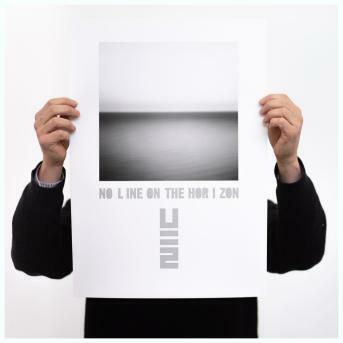 The next screen print done by White Duck Editions was one to celebrate the 10th anniversary of No Line on the Horizon. That version too is limited to 150 copies, all hand numbered. 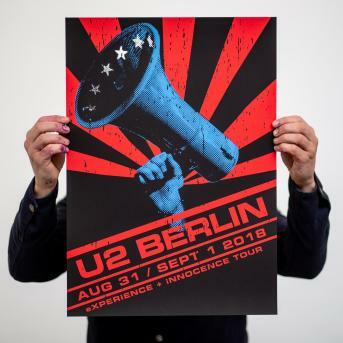 The description of the print is as follows: “This screen print is a high-end giclée on 300gsm acid-free & archival paper, with metallic silver screen printed typography.” Those are still available at U2.Com as we write this. Looking forward to seeing the designs done for “The Europa EP” and what the T-shirt and print will look like. We’ll give a shout on our social media channels when we see that they are available.